by David the Dark one! Chat with fellow members and catch up on all the FSFS News! 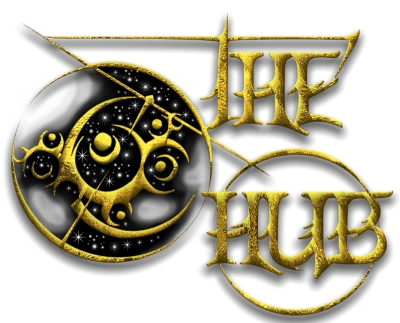 The "Fantasy and Science Fiction Society"
The Hub is a place to chat to friends about anything on your mind and keep up-to-date with the goings on of the group. What can we talk about here? Pretty much anything, so long as it is E rated. Discuss a book you're reading, a great film you've watched, or just get something off your chest. If you have a question about the group you ask that here, too. Want to play a fun game? Well, the Hub is the place to be. I, or other members, can post a forum-based game for the whole group to participate in. Who knows, there might be a good prize to be won! 3. Don't ask for reviews here. We have the "Review Board" for that! - Little Sigrun narrowly escapes death at the hands of her uncle's humanoid 'friend.' Bereaved and alone in the world, she turns to her imaginary friends for help in survival, both physical and spiritual. This is the group homepage. #2016377 by David the Dark one! Come in here to catch up with group news or to have a chat with other members. #2016379 by David the Dark one! Come in here to discuss the craft of writing and the intricacies of the genre. #2016382 by David the Dark one! Come in here to discuss the mechanics and technical aspects of writing. #2035533 by David the Dark one! Come in here to discuss writing and reading poetry. #2016824 by David the Dark one! Come in here to discuss the publishing industry. #2044138 by David the Dark one! Visit here to see a list of FSFS members who are published. Use this form to submit to the FSFS Anthology. This the FSFS bi-monthly contest, open to all of writing.com. #2019583 by David the Dark one! Request a review in exchange for reviewing a request! Re: Won the Writer's Cramp against eight other entries. Re: Re: Won the Writer's Cramp against eight other entries. Won the Writer's Cramp against eight other entries. Re: My other gig besides WdC. My other gig besides WdC. Re: Re: Need a Sci-fi break? Generated in 1.81 seconds at 3:01am on Apr 21, 2019 via server S30.